"Deb and Ashby: We'll be fishing in the Victoria area, towing a boat for freshwater and fly fishing freshwater with float tubes. Where should we go? 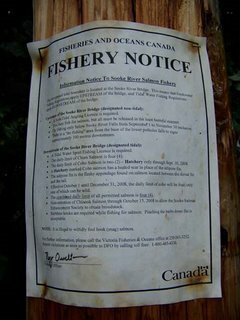 Answer: Go to gofishbc.com and find out the stocked lakes on Vancouver Island. There are about 35 in the Capital Region District alone, and these are stocked into October with new fish. The Sooke River fly fishery at All Sooke Days Park will have coho and chum." 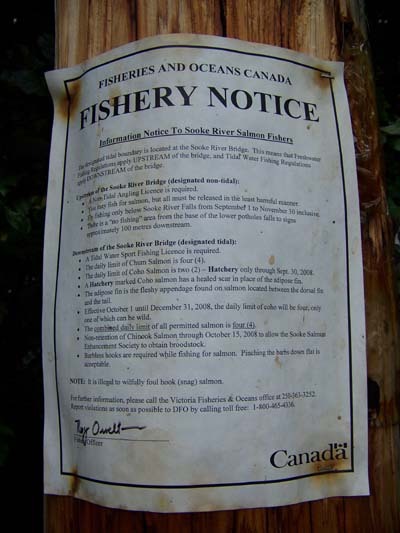 Below the Sooke River bridge is tidal waters, which means you can retain salmon -- current rules are 4 salmon per day, which can include 4 coho, but only one of which may be wild (has adipose fin). Chinook is CLOSED anywhere inside Sooke Harbour. Above the bridge it is fly fishing only and catch and release. 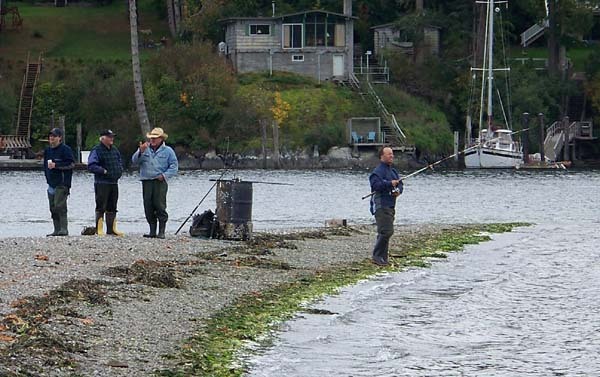 Another local fishing spot -- you can also cast out from the shores of Muir Creek into the estuary, and try to catch a chum.